I used to be firmly against oaky, buttery chardonnays. The "California style" that was so prevalent in the mid-90's through the early '00's grossed me out. Wines that reminded of movie theater popcorn and vanilla extract were (and are) horribly offensive to my palate. As a result, I avoided chardonnay for the most part, occasionally allowing a Montrachet to seduce me or a Chablis to dance a tango for me. With age and maturity, I have evolved, much like a fine wine. Today those chardonnays are viewed as elements of a meal and I've had a few that were incredibly friendly and palate-pleasing. Rombauer, Far Niente, Kongsgaard, Kistler and the rest of them could be made in a technically complex style and are certainly capable of high scores...and the associated high prices. 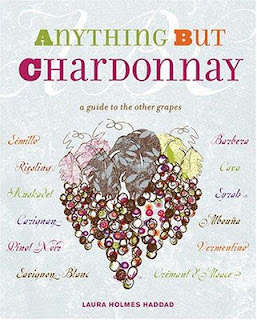 The other side of the chardonnay coin would be examples that see no oak and no malolactic fermentation. Crisp, clean, bracingly acidic wines that highlight intenese minerality over oaky richness. Chardonnay like that holds immense appeal to me, and I remain an unabashed fan of white Burgundy to this day. Here and there, a wooded chardonnay would appeal to me, and I remain a fan of the Derbes offering, though it's rarely seen here in San Diego. 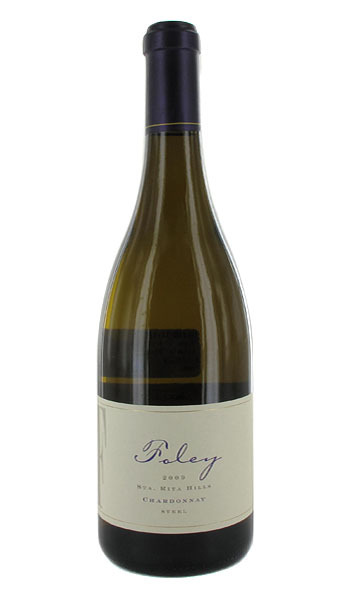 That brings us to this wine, the 2009 Foley Steel Chardonnay. The word steel referring to the lack of oak barrel aging. Also, there is no malo-lactic fermentation taking place, which results in higher malic acid for more of the green apple and lemon flavors. The suggested retail price is $30 but I've seen the 2009 Foley Steel sell for as little as $23 per bottle. Some wine geek info: 14.3% abv, pH of 3.35, 100% chardonnay, and all fruit from the Santa Rita Hills AVA. But what's this Foley Steel all about? Is it worth your money? One of those answers is a simple yes or no, the other requires a bit of exploration. 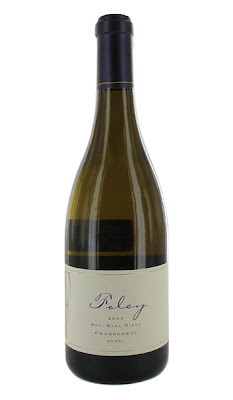 Is the 2009 Foley Steel Chardonnay worth your money? Yes, it's an excellent chardonnay and goes head to head with white Burgundies at the same price. But why? Aromatically there are all sorts of fun things going on. I was struck by how fresh this chardonnay smelled, being devoid of oak and m-l fermentation allowed the natural bouquet of summer flowers and lemon zest to shine. Intense minerality plays a part too, showcasing a wet river rock scent, or perhaps that of a gravel driveway after a rainstorm. In short, this Foley chardonnay is a wine you want to sniff for hours, enjoying the picture that it's bouquet paints. But that's only part of what makes the '09 Foley so deliciously fun. At first sip, lots of green apple and lemon pith present themselves. As the wine moves across the palate, it fattens up to reveal lemon curd notes with a core of tight minerality akin to limestone in the sun. That fatness comes from the relatively high 14.3% alcohol, perhaps the only flaw I found. Despite this cabernet-level amount of alcohol though, the Steel chardonnay remains balanced and food-friendly. I reviewed this wine a couple of months ago and gave it a B+ and STRONG BUY recommendation because I was impressed with the quality and balance. Later, I learned that Wine Spectator gave this exact wine a 90 points, it's nice to know my ratings agree with the "professional" critics once in a while. For suggested food pairings, go with something light and fresh. Grilled ahi tuna or mahi mahi fish tacos would be wonderful. Pasta with pesto would also work out and any kind of vegetarian pizza pairing would be awesome. 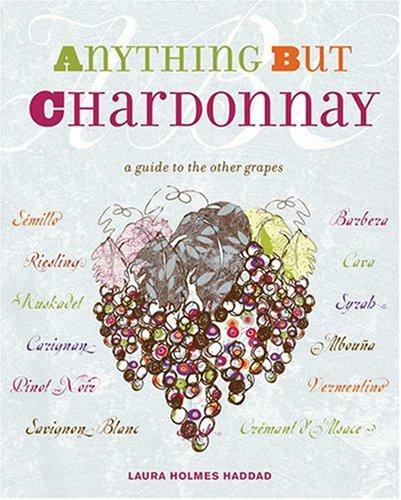 I am always on the lookout for a great Chardonnay. I too am not a fan of intense oak. This post made me want to drink a Chardonnay... and that's not something I've ever said before. Do you have some recommendations around $12-$15 that you actually liked?